your staff, property, and assets. Keeping your business safe and secure is the top priority of any business owner. It is not only important to keep your goods protected, but also your employees. Having the right security system to meet all your needs provides you with peace of mind knowing everyone and everything is protected at all times. Whether you are looking for a solution with limited protection or one with all the bells and whistles, we will be able to meet your needs. Controlling access to your building should be your top priority. A traditional key system offers some protection, but they are not nearly as effective and versatile as a keycard system. Some of the benefits of the Keyscan Access Control Systems are controlling access, trigger and disable locks from one location, create custom reports, and verify employee status when entering the building. 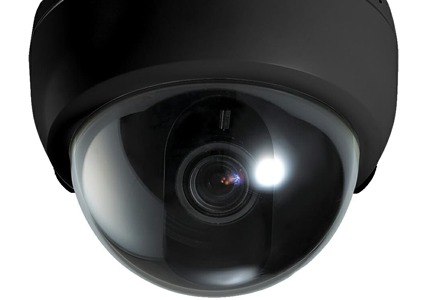 Dome Technologies makes use of the top security cameras on the market today. We use some of the top-rated manufacturers in the country, such as LTS, Speco Technologies, and Panasonic and many more. In addition to controlling your access, video security enables you to verify and monitor the security of all areas of your building. In addition, if there ever is a breach, you will have a video record of the incident. You have a lot invested in all aspects of your business, so give it the protection it deserves. Dome Technologies will work with you to provide the security you want and need to protect the most vital aspects of your business. Today’s business owners have to worry about both internal and external threats. If you are allowing open access through the back door, you are inviting trouble. Can you really afford to have security personnel stationed at every entryway, 24 hours a day? Wouldn’t it be simpler to have a security system in place that monitors and restricts access to these areas? Moreover, the threat is no longer just intruders, as many businesses have significant loss from employee theft. Now, you will be able to monitor storage areas as well as limit access to these areas. If you are ready to provide your business with the security that will protect your investment, call Dome Technologies today for more information.